Back in September, the 260-year-old Royal and Ancient Golf Club of St. Andrews decided it would finally admit women. (Perhaps because "even fustier than the Augusta National" is not a good look for anybody.) Now they've announced their first female members and—surprise!—there's a princess among them. 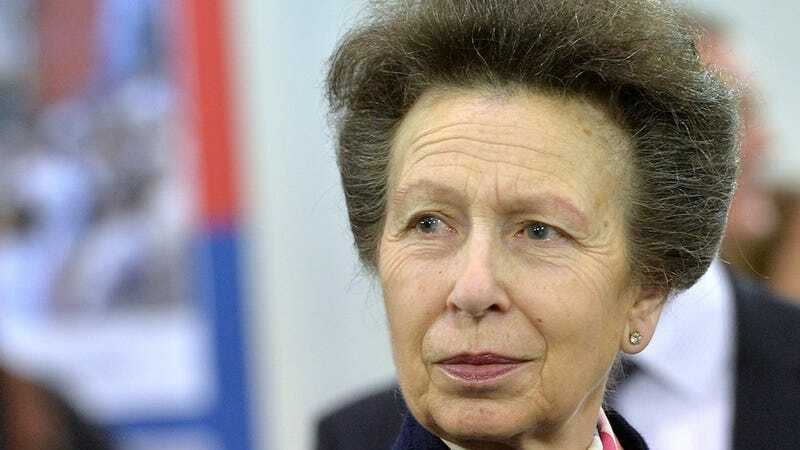 The AFP reports that Princess Anne, Prince Charles' younger sister, has been granted honorary membership within the R&A's dusty ranks. It's pretty much the equivalent of the Augusta National opening its arms to the conservative Condoleezza Rice—a clear sign that admitting women doesn't mean admitting the RIFF RAFF. Golfing champs including Laura Davies and Annika Sorenstam also got the nod, and several more memberships are in the works. "This is an historic day for the club and we could not be more proud also to welcome women who have distinguished themselves in golf over many years and have been great players and champions," said George Macgregor, the club's captain. This is a great excuse to mention that Princess Anne once responded to a would-be kidnapper with "Not bloody likely!"